The candidates willing to appear JCECE 2018 must be a citizen of India and Permanent or Local resident of Jharkhand. The candidates must have cleared the I.Sc. / 10+2 or equivalent examination with compulsory subjects as Mathematics and Physics along with Chemistry/Bio-chemistry as optional. The candidate must have scored 45% marks (40% for reserved category) aggregate in the compulsory subjects with optional taken all together. Medical check-up of the candidates is mandatory for admissions into all streams by the JCECEB and post check-up only fit candidate will be eligible for admissions. Candidates willing to appear the JCECE 2018 can get all the important information from the official website. 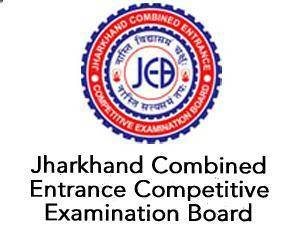 Candidates applying for the Jharkhand Combined Entrance Competitive Examination 2018 are required to fill the application form online only by visiting the official website. There are no printed forms available. Candidates are required to submit the scanned images in JPG format of the signature, latest photograph, left hand’s thumb impression. Physics: Physical World and Measurement, Kinematics, Laws of Motion, Work, Energy and Power, Motion of System of Particles and Rigid Body, Gravitation, Properties of Bulk Matter, Behavior of Perfect Gas and Kinetic Theory, Oscillations and Electrostatics Electric Charges, Current Electricity, Magnetic Effects of current and Magnetism, Electromagnetic and Alternating Currents, Electromagnetic waves, Optics, Wave optics, Dual Nature of Matter and Radiation, Electronic Devices, Communication. Mathematics: Relations & Functions, Trigonometric Functions, Algebra, Principle of Mathematical Induction, Complex Numbers and Quardratic Equations, Linear Inequalities, Permutations & Theorem, Binomial Theorem, Sequence and Series, Coordinate Geometry, Calculus, Limits and Derivatives, Mathematical Reasoning, Statistics & Probability, Relations and Functions, Matrices, Determinants, Calculus, Integrals, Vectors and Three Dimensional Geometry, Linear Programming. The Jharkhand combined 2018 result shall be declared on the 4th week of May 2018. Candidates can download the results from the official websites. The Counseling process for JCECE shall be conducted on the basis of results declared in the first and second week of June 2018. The JCECE 2018 counseling procedure shall be a done using a Computerized Distributed Parallel Methods. Candidates are required to get along with all the certificates and mark-sheet of the previous exams along with the photocopies of it on the counseling date.